TODAY listened to 6 different albums. Total for 131 days-794 different albums. On pace for 2212. THE WHITE STRIPES: DE STIJL: 2000: 4 1/2 STARS OUT OF 5 STARS: White Stripes second album- a blues/ punk fusion record. A lot of different styles on this record. They had yet to make their big breakthrough yet -that would come with their next album. Best cuts on this one- What Can’t You Be Nicer To Me? Little Bird, You’re Pretty Good Looking. The album is dedicated to Dutch furniture designer Gerrit Rietvald and the bluesman Blind Willie McTell. THE WHITE STRIPES: WHITE BLOOD CELLS: 2001: 5 STARS OUT OF 5 STARS: Their breakthrough album. 16 songs in 40 minutes: On most of the ‘best of 2000’s albums lists. Highlights- Fell In Love With A Girl, We’re Going To Be Friends, Dead Leaves and The Dirty Ground, The Union Ground. Album is dedicated to Loretta Lynn. TALK TALK: NATURAL HISTORY: THE VERY BEST OF TALK TALK: 199o: 4 STARS OUT OF 5 STARS: They only made 5 albums in their career. started out as a synth band in the early 80’s. Talk Talk and It’s My Life my favorite songs from that period but they really became great with their final two albums- the experimental jazz of Spirit of Eden which is one of my favorite albums from the 90’s and Laughing Stock. 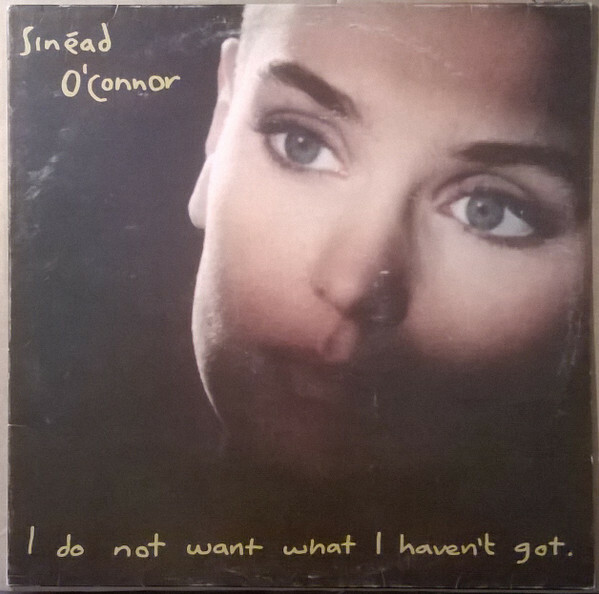 SINEAD O’CONNOR: I DO NOT WANT WHAT I HAVEN’T GOT: 1990: 5 STARS OUT OF 5 STARS: The album and the single “Nothing Compares 2 U” both went to #1. Whatever can be said about Sinead’s personal trials and suicidal career moves -the bottom line is the girl can really sing. Great album. SKIP JAMES: TODAY! 1965: 5 STARS OUT OF 5 STARS: One of the mid-60’s blues re-discoveries- James may have had the most still to give. Great vocals and guitar work. There had been a 30 year period where James had recorded nothing–before three blues enthusiasts rediscovered him. He’d make several stunning recordings before his passing in 1969. SAM AND DAVE: THE BEST OF SAM AND DAVE: 1984: 5 STARS OUT OF 5 STARS: I first heard Sam and Dave- from watching The Blues Brothers movie. Jake and Elwood as I recall where in their Blues Mobile and Soothe Me was playing on the radio. I had to go out and buy Sam and Dave’s best of the next day. They only had a handful of Billboard Top 40 hits but should have had more. Soul Man is their most famous song. Hold On I’m Comin’, You Don’t Know Like I Know, I Thank You, You Don’t Know What You Mean To Me- are among the standout tracks here.